Frankfurt is to become the first European airport to receive the brand new Boeing 787 with ANA non-stop flights beginning from Haneda Tokyo on 21 January 2012. A new route will complement ANA’s four existing European services from Narita to Charles de Gaulle, Frankfurt, Heathrow and Munich. This is likely to be popular with regular (and inquisitive) travellers wishing to sample the most advanced airline now flying. Larger than the 767, the most obvious difference to its predecessor will be the large windows and innovative interiors. Not so apparent is the overhead compartments, the largest in the industry. They are approximately 30% larger than the compartments on the Boeing 777 and have enough space to hold four large-size carry-on bags. Also worthwhile mentioning discreetly are the washrooms which are equipped with Washlet seats equipped with a hot water washer designed for in-cabin use. These seats were jointly developed by Toto Ltd, Jamco Corporation and Boeing. The Aviation Foundation has been created by BAA, British Airways, Manchester Airports Group and Virgin Atlantic as a specific, fit-for-purpose campaign group. Flying Matters, which attempted to do much the same job, was considered too cumbersome to be effective, and was wound up in April. The Aviation Foundation has been kept small to ensure a tight, flexible and timely campaign approach. Its role is advocacy, not industry representation, and its structure has been developed with this in mind. Appointed as Director is Rob Gray (38) former Deputy Chief Executive of The Countryside Alliance and previously Editor of both Shooting Times and Shooting Gazette. A briefing note states that “the Aviation Foundation needs to be focused and targeted in our communications with the public and politicians. The Aviation Foundation will raise awareness of the contribution of aviation to the British economy and its role in the private sector-driven recovery. One of our objectives is to reach out and build alliances and coalitions with others in the sector wherever it helps the campaign. The Aviation Foundation is not intending to promote itself for its own sake but to rebalance the debate about aviation to reflect properly and positively aviation’s contribution to the United Kingdom. As yet no website. Emirates extensive African network is to be boosted again with the launch of two new destinations – Lusaka, the capital of Zambia, and Harare, the capital city of Zimbabwe. 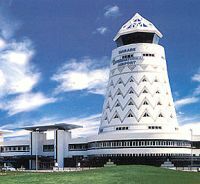 Zambia and Zimbabwe, which share a border with the Victoria Falls, one of the natural wonders of the world, will now be linked with a five times weekly flight from Dubai, starting from 1 February 2012. The Dubai – Lusaka – Harare service will be operated by an A330-200 aircraft in a three-class configuration that offers 12 luxurious First Class seats, 42 seats in Business Class and generous space for 183 passengers in Economy Class. Emirates is the sponsor for the new cable car across the Thames linking the Greenwich Peninsula and the Royal Docks. To be known as the Emirates Air Line, and worth £36m in a 10-year deal, the system should be up and running well before the start of next year's London Olympics. With a capacity to carry up to 2,500 people per hour in each direction in the peak, equivalent to the capacity of 30 buses per hour, it is anticipated the Emirates Air Line will transport two million passengers per year. Creating a direct link between the O2, Europe’s biggest entertainment venue, and ExCeL, the UK’s largest exhibition centre, the Emirates Air Line will also provide an additional interchange between the DLR and Jubilee line. 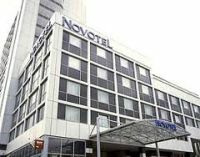 Accor, the Paris-based hotelier, has confirmed that it is rebranding the Novotel in London’s Euston Road as its first UK Pullman. Work will start shortly at the 312-room property to bring it up to the higher standard required for a Pullman. Completion has been targeted for well in advance of the London 2012 Olympics. 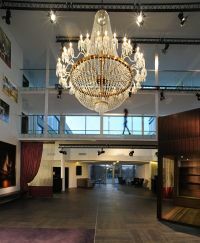 Ideally situated about half way between St Pancras/Kings Cross and Euston stations the property also features the 450-seat Shaw Theatre, part of London’s West End, but also integrated into the hotel for conventions and gatherings. 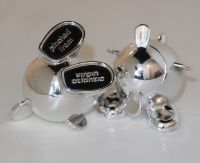 Virgin Atlantic is phasing out its “highly collectable” salt and pepper sets. Thousands of the coveted condiments have disappeared since they were introduced over 12 years ago (The Editor denies that the pair that adorns his dining room table were stolen – Richard Branson on a press trip said “take them”). So sought after have they become that there is even a thriving trade on eBay with individual pieces selling for up to £20 each. However, those days are coming to an end. Next month, Virgin Atlantic is replacing all of the cutlery and dining ware sets across their entire Upper Class fleet – and the old salt and pepper pots are going to disappear. “Who could have guessed that salt and pepper pots designed for our aircraft would one day be found in homes all over the world and we are thankful to our Upper Class passengers for spreading the message around the globe. “Having so many people pinching our salt and pepper pots is, I suppose, a back handed tribute to how well these items have been designed. Said to be the UK’s newest hotel group, Z Hotels, will launch today (10 October) a flagship property in the heart of London’s Soho. With room rates starting from just £85, Z Hotels Soho is the first hotel to be designed with what the property calls the “Urbanite Stay”, short stay accommodation offering high quality at an affordable price in prime city centre locations. All rooms feature the latest 40” LED High Definition TVs with all Sky Sports and Sky Movies available at no extra cost, power showers, i-docking stations, and free wi-fi throughout the hotel. 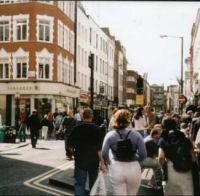 This first hotel is situated in Soho just off Cambridge Circus, essentially in the heart of the capital’s entertainment area. The 85-room property is a conversion of 12 Georgian townhouses. The Z Café will provide a pleasant oasis at any time of the day or night. 'Woman, can't you keep your mouth shut?" The officer frowns and says, "And I notice that you're not wearing your seat belt, sir. That's an automatic £75 fine." The driver says, "Yeah, well, you see, officer, I had it on, but I took it off when you pulled me over so that I could get my licence out of my back pocket." And as the police officer is writing out the third ticket, the driver turns to his wife and barks, "WILL YOU PLEASE SHUT UP?" Abu Dhabi is to be served from Lagos for the first time. 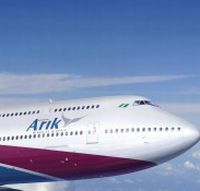 Rapidly expanding Arik Air, Nigeria’s largest international carrier, from 29 November will operate a three times weekly non-stop service connecting the UAE capital. 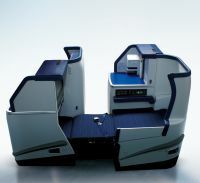 An Airbus A340-500 will be used for the flight with 36 full flat-bed seats in the premium cabin and 201 Economy. From Lagos, Arik offers a number of West Africa destinations including the oil city of Port Harcourt and other Nigerian domestic destinations plus Côte D’Ivoire, Ghana and Senegal. 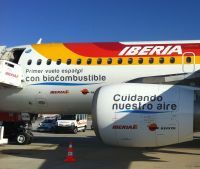 Iberia has become the latest airline to experiment with biofuel, working together with Repsol the global energy company. The airline has flown a commercial flight by Airbus A320 from Madrid to Barcelona which burned some 2,800 kg of a mixture of 75% conventional A-1 jet fuel and 25% biofuel derived from the camelina sativa plant. The use of the mixture brought a reduction of nearly 1,500 kg of C02 emissions. The second-generation biofuels is a mixture made by ASA of synthesized paraffin bio-kerosene produced by Honeywell-UOP and evaluated and certified by Repsol at its technological centre, which allows an almost 20% reduction in emissions of greenhouse gases. Camelina sativa is an inedible oil plant that grows widely and can be cultivated in Spain. Unlike other plants used for biofuels, camelina enriches the soil in which it is grown. “eReady” is the name of a new online checkout service to improve the speed and efficiency of the car hire experience. 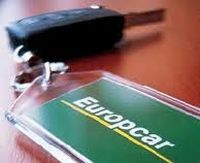 With eReady, Europcar customers can save time at the counter because they will have already activated their Rental Agreement online. Initial response to the service has been very positive. Now open is Oman’s newest boutique 4-star hotel, The Sifawy, located in Jebel Sifah and an easy one hour’s drive from the capital city of Muscat and the country’s international airport. 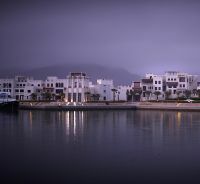 The Sifawy, meaning those ‘from Sifah’ offers 55 guest rooms, including 30 suites, and each room has a private balcony. Guests in the Marina Suite are provided with a personal butler who will look after all aspects of guest stays. The property features a large swimming pool, outdoor Jacuzzi, fitness centre, treatment room, in addition to a wide range of activities and excursions. Jebel Sifah is fringed with sandy white beaches and turquoise waters of the Arabian Sea and has the Hajjar mountain range as a majestic backdrop making it extremely picturesque. Guests looking for authentic regional and international dining experiences can dine at the hotel’s restaurant, Al Sabla, or the beautiful beach eatery restaurant, Al Sammak, which offers fresh, locally-fished seafood. Guildford, the Surrey market town equal distance from both Gatwick and Heathrow, now has a Radisson Edwardian. The visually stunning 183-room property has opened in the heart of this vibrant Surrey town about 30 miles from the centre of London, about the same distance from the airports. The 4-star deluxe hotel fuses the façade of an ancient coaching inn with an ultra modern glass structure featuring a double height atrium with inspired interiors, including a three-metre chandelier and a library kiosk – an eyrie to observe without being seen, to wait for colleagues. The hotel offers complimentary wi-fi throughout, mobile phone hire and a full service business centre, whilst guest rooms have laptop safes and a personal phone number with voicemail. The Jungfraujoch at Interlaken, Europe’s highest railway station, was the finishing point of a unique race, reminiscent of times gone by, which coincided with the opening of the ERAA conference (see last week’s AERBT). SkyWork Airlines of Switzerland (perhaps with some local knowledge?) clocked the fastest time in a race involving six competitors from the British Swiss Chamber of Commerce (BSCC) and six different routings from London to the point known as ‘The Top of Europe’. Philip Worley, Strategy Manager from UK Trade & Investment (UKTI), reached the top of Jungfrau, in a speedy 303 minutes from his starting point at London City Airport flying direct to Bern – arriving 40 minutes ahead of his closest contender. 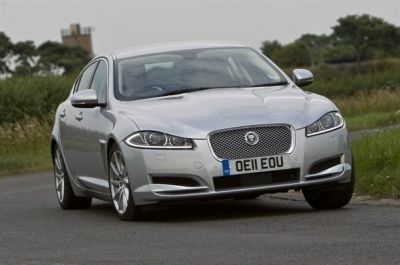 Grace, Space, Pace...for years this trio of words have been associated with successive Jaguar models and judging by the appearance of the just extensively revamped Jaguar XF saloon range they remain justifiable to a great degree even in today’s hotly contested premium class. This svelte machine has been gracing the highways for the past four years, winning up to 10,000 annual sales but Jaguar expect that its latest efforts will see an almost doubling to hit 18,000 units in a full year. Obviously those extra customers have to come from somewhere, either the newly upwardly mobile or by prising them away from rival products. To this end Jaguar has subtly reworked the body styling by the use of a more curvaceous bonnet, a slightly more prominent grille, new headlights, redesigned side vents in the front wings, new LED rear lights and chrome window trim. Clearly Jaguar sticks to the wisdom of not trying to mend something that is not broke. To a great degree it has left the well appointed interior virtually untouched though there is evidence of some better quality materials and an improved screen for the satellite navigation system which also links across its directions to a new panel in front of the driver. It is under the bonnet that the main work has been undertaken in the form of a new 2.2-litre four-cylinder turbo diesel engine to augment the existing 3.0-litre V6 turbo diesel model. Developed from a proven Land Rover unit to produce an appropriate 187 bhp in a very refined manner and a relaxed 3,500 rpm, this unit is complemented by a new 8-speed selectable automatic transmission that is also applied to the 3.0-litre version. Having experienced both diesel power units I found that this new smaller unit actually provided a touch more driver entertainment, notably when driven in the Sport mode. I also experienced a slightly lighter feel (though very positive) to the steering action compared with the V6 version. The gear range, which can be controlled if desired by the small paddles behind the steering wheel, ideally suits the power output under all driving circumstance – fast acceleration or relaxed cruising, this one delivers with aplomb. From the driving aspect if you are looking for the quality and character synonymous with bye-gone Jaguars then there is plenty of that DNA shining though with this one. Those who said the X-Type was not a true Jaguar when it came to that feel good factor can eat their words. This is a car that drivers have to be prised out of! Pace: According to Jaguar this ‘cat’ is kept on a leash, limited to a mere 140 mph though slip that leash and it will hit 60 mph from rest in just 8 seconds. That is really shifting for a car of this size/weight! And no longer are Jaguars thirsty beasts, this one has a combined fuel consumption figure of 52.3 mpg (aided by the latest Start+Stop technology) so even the heavy footed well heeled driver should get away with around 40 mpg. Perhaps a carbon footprint of 49 g/km is behind the class. Space: The near luxury interior is certainly spacious and very comfortable, rear seat accommodation proved more spacious to me than some contemporary tests suggested while boot capacity, not always generous on some earlier Jaguars, is good at around 550 litres and is augmented by folding seat backs. Luggage retaining metal loops also feature. Grace: Sit inside the XF and you feel that you have arrived at a very special stage in life. The interior reflects the best in British workmanship and taste. Choose the type of highly polished veneer trim, enjoy the leather seating and trim, soak up the stylish interior presentation. This is the situation that invariably wins sales and also, as history proves, starts a love affair with the marquee. Jaguar has also moved with the times, the driver’s workstation is both businesslike and good on the eye and is right up to date. I particularly enjoyed the retractable gear selection turret located on the transmission tunnel. Comparing prices with the opposition this Jaguar may appear expensive and one needs to take into consideration that Jaguar has adopted an off the peg (albeit a very good one) marketing strategy with a lot of the kit standard whereas it is optional on some rivals. It does not sell you short though my test car had over £4,000 worth of options including a heated steering wheel and a blind spot monitor. Your Editor is the proud owner of a 2.7ltr (now 3ltr) very early XF diesel and is delighted with it, particularly the superb ride, smooth gear change and unique push button gearbox arrangement. If he has a grumble it is the paddle gear change on the steering wheel. It can be tricky on a roundabout. 45 mpg on the new 2.2 should be obtainable. He has an order in for the new baby Jaguar salon when it arrives sometime in 2013. Madam wholeheartedly concurs. You feel that you have arrived at a very special stage in life, and when we tested the competition before purchasing there was no contest. Rivals include: BMW 5 Series, Audi A6, Peugeot 508, Mercedes-Benz C Class. 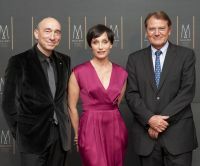 Following the announcement last week of a major UK expansion for its Mercure brand, giant French hotel group Accor has now revealed that the prestigious St Ermin’s Hotel, St James, has become part of its MGallery collection. The Accor involvement follows an impressive £30m transformation and restoration of the historical property by its new owners, US real estate development firm Amerimar Enterprises. 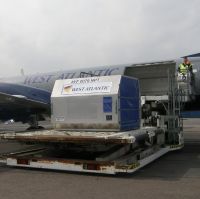 Atlantic Airlines, part of the West Atlantic Group, Europe's largest regional specialist cargo airline, has re-introduced scheduled freight operations at Coventry Airport after a gap of nearly two years. For the immediate future West Atlantic will base two BAe ATP turboprops at the airport serving Dublin, Lille and Maastricht. Discussions are thought to be taking place regarding scheduled passenger services too. 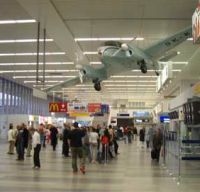 In December 2009 the airport ceased operations after a High Court hearing, however the lease was acquired by Sir Peter Rigby's Patriot Aviation Group on 28 April 2010. British Airways subsidiary CityFlyer, based at London City Airport (LCY), says that its 2012 schedule will stay much the same as the very successful programme operated this year. Despite persistent rumours that British Airways will introduce a Boston service, to complement the New York Airbus A318 operation via Shannon, nothing seems to be happening on that front. The LCY aircraft are the only ones of their type in the BA fleet, and factory fresh planes are probably 18 months away. CityFlyer has carried nearly 60% more customers to sunshine destinations from the Docklands airport compared to last year. According to BA CEO Keith Williams the business has now turned around, a major contributory factor the introduction of the Embraer 170 and 190 series aircraft. Transferring passengers with at least two hours to spare before a connecting flight can now take advantage of the UK’s first ever airside guest rooms operated by No.1 Traveller in Heathrow Terminal 3. Building on the successful launch of No.1 Traveller’s flagship ‘super-lounge’ in Terminal 3, the airport hospitality specialist has now launched the facility accessible to all passengers departing from and transferring through Terminal 3. Twelve en-suite cabin-style rooms are offered for stays of two or more hours, with a mini-bar, complimentary internet access, an internet phone and room service, plus infant cots available on request. The bedrooms are perfectly suited to transferring passengers with a layover in the airport, giving travellers the opportunity to catch up on some sleep in soundproofed rooms and have a shower between flights. The International Air Transport Association (IATA) announced traffic results for August. While passenger demand was up 4.5% over the previous August, this represents a significant slowing from the 6% recorded in July. The decline in freight markets accelerated. The 3.8% contraction in freight markets recorded in August was more than double the pace of July’s 1.8% decline. “The industry has shifted gears downward. The pace of growth in passenger markets has dipped and the freight business is now shrinking at a faster pace. With business and consumer confidence continuing to slump globally there is not a lot of optimism for improved conditions any time soon,” said Tony Tyler, IATA’s Director General and CEO. The world’s most annoying airline, Ryanair, has been found out when it comes to the use of the carrier’s new compulsory charge card, allegedly the cheapest way to book a seat on the airline. 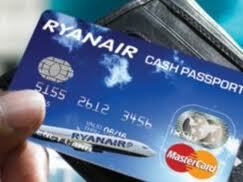 The user guide for the Ryanair Cash Passport reveals that after six months, anyone who does not use the card will be charged £2.50 a month for inactivity, while a £10 invoice will be made every time the card goes into negative territory because of the inactivity fee. The more you don’t use it the larger the bill! The list of fees is quite comprehensive. Besides the ones listed above you can be charged for ATM use (£2), actual use of card when purchasing fee (£0.50), cash over the counter (£4), cash out card fee at a bank (£4), cash out fee through Card services (£6), and the addition of a further card (£6). The two BAe 146-300 are equipped to high standards and configured with eight Business Class seats and 86 Economy Class seats. Domestic services envisaged for ‘Starbow’ include routes centred on Accra and the important regional city of Kumasi and linking them to other destinations such as Tamale and Takoradi. EU ADVOCATE GENERAL UPHOLDS ITS LEGALITY BUT IT'S NOT OVER YET! It looks likely that the great Aviation Emissions Trade War can be resolved only through political agreement or the passage of time, but not legal action. Time has now almost run out before the aviation sector is included in the EU Emissions Trading Scheme (EU ETS), so barring any last-minute political agreement, we expect it now to come into effect, as planned, on 1 January 2012. The arguments about aviation and the EU ETS will continue, and we advise those who oppose it to monitor, closely and rigorously, its effects on their businesses: by 1 December 2014, the European Commission must report on the operation of the EU ETS in relation to aviation, and may make recommendations for change. Looking further ahead, there is no international agreement on the future of the EU ETS beyond the expiry of phase III in 2020, so there is still all to play for. The Advocate General found that the inclusion of international aviation in the EU emissions trading scheme was compatible with the provisions and principles of international law. In particular the UK referring court asked whether the claimant airlines could rely on various rules of international law (including customary international law, the Chicago Convention, the Kyoto Protocol and the EU-US Open Skies Agreement) to challenge the validity of the EU ETS in relation to aviation. The Advocate General found that they could not. In particular, the rules of customary international law at issue determined the scope of sovereignty of States and limited their jurisdiction, but did not have an effect on the legal status of individuals. Further, since the EU was not bound by the Chicago Convention, such Convention could not be relied upon as a benchmark against which the EU ETS Directive can be reviewed. The Advocate General found that only Article 7 (applicability of laws and regulations of the parties) and the second sentence of Article 15(3) (application of environmental measures affecting air services) of the Open Skies Agreement could be a valid benchmark. The UK referring court asked whether the EU ETS was invalid if and insofar as it applied the scheme to those parts of flights which took place outside the EU Member States’ airspace. The Advocate General found that this was not contrary to international law. The EU ETS Directive was concerned solely with aircraft arrivals at and departures from airports in the European Union, and it was only with regard to such arrivals and departures that the airlines had to surrender emission allowances in various amounts, depending on the flight. The fear of “extra-territoriality” was, according to the Advocate General, “untenable…based on an erroneous and highly superficial reading of the provisions of Directive 2008/101” (the aviation ETS Directive). The Advocate General argued that the international agreements (Chicago, Kyoto, Open Skies) did not affect the validity of the EU ETS. There was no impermissible unilateral action by the European Union outside the ICAO framework since under the Kyoto protocol, the limitation and reduction of greenhouse gases was not the exclusive competence of the ICAO. The Open Skies Agreement did not rule out the application of market-based measures regarding aviation emissions. Further, the inclusion of aviation in the EU ETS was compatible with the principle of fair and equal opportunity in the Open Skies Agreement. If the EU ETS Directive had excluded third country airlines from the application of the EU ETS then this would have given third country airlines an unjustified competitive advantage over their European competitors. Finally, airlines were not charged fees, dues or other charges within the meaning of international-law agreements. The EU ETS was instead a market-based measure, the purpose of which was environmental and climate protection. Thus, the emission allowances that had to be surrendered were levied in respect of the emission of greenhouse gases, not merely fuel consumption or based on the persons or property on board. Scheme will come into effect: legal process almost complete. In the circumstances, it is not surprising that the Advocate General of the EU Court of Justice has found in favour of the EU’s Emissions Trading Scheme (“EU ETS”) as it applies to aviation. EU law on challenging legislation is still under-developed. We should expect that the full Court, when it rules in 2012, will follow the overall view of the Advocate General. There is no further Court in the EU to which appeal can then be made. Once the Court of Justice rules, the case reverts to the UK for conclusion of the litigation based on the Court’s ruling. 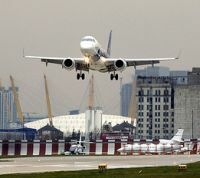 The result will be that the UK’s implementing regulations will be found to be lawful, and the EU ETS will apply to aviation from 1 January 2012. Political and economic battle remains. • China forced the cancellation by one of its airlines of an order of European-manufactured Airbus, worth $ 3.8 billion. The Hong Kong airline was blocked prior to an announcement that was due at the Paris Air Show earlier this year. • The US Congress is currently debating H.R. 2594, a bill that would empower the U.S. Secretary of Transportation to forbid U.S. carriers from participating in the EU ETS. The proponents have labelled EU ETS unlawful and unjust. • The grant of free allowances to operators between 2012 and 2020 will allow operators to invest in new aircraft, fuel-efficiency and alternative fuels (Connie Hedegaard). This remark was denounced as economically unrealistic. • The airlines will be able to pass on the cost of additional allowances to their customers. This is hotly disputed: the argument against this is that airlines operate in a highly price-sensitive environment and therefore cannot pass through the additional costs. • The Commission listed in its “Questions & Answers on the benchmark for free allocation to airlines and on the inclusion of aviation in the EU’s Emission Trading Scheme (EU ETS)” 98 States with no commercial carriers covered by the EU ETS. The purpose of this list was unexplained, but to the extent that it was designed to give the impression that the likely territorial effect of the EU ETS was apparently smaller, it was flawed. About one quarter of those States are in Latin America or the Caribbean, an area which has yet to see major growth in international aviation. Another quarter are blacklisted in the EU, wholly or partly; and various other States are small in relation to their aviation significance – the Marshall and Solomon Islands, for example. • Over time, the battle of predictions will give way to a battle of experience under the ETS. There will be arguments about the economic effects (and the distribution of those effects) on aviation: are non-EU airlines better off compared to EU airlines, because at least non-EU airlines can avoid flying in the EU? Will short-haul high-frequency carriers suffer disproportionately to long-haul? To what extent and to what effect can the increased costs be passed to consumers? Which routes will become economically marginal as a result of EU ETS-related costs? Will there be route exits, a raising of barriers to entry and a reduction of route-specific competition, lowering economic efficiency? And perhaps the most serious question: will the unilateral approach of the EU lead to the marginalisation of the EU economy, as the major economic superpowers including the US, China, Russia and India find other routes through which to trade? In other words, to what extent will the inclusion of aviation in the EU ETS encourage the creation of new international hubs outside the EU? The experience of the EU ETS, and how such experience is interpreted, will be as contested as the earlier predictions. This will be the backdrop to the political debate of the future.